44th Battalion Signaller James Grieg Smith of 107 Burt Street, Boulder City was such a handsome lad but his story does not end well. James was the first and only surviving son of Harriett (nee Feirclough) and Henry Law Smith. Born on 27 October 1896 in Adelaide, South Australia, he came to Western Australia with his parents as an infant and they lived in Boulder. Before his enlistment in January 1916, James apprenticed with his father a tailor and then began tailoring himself. 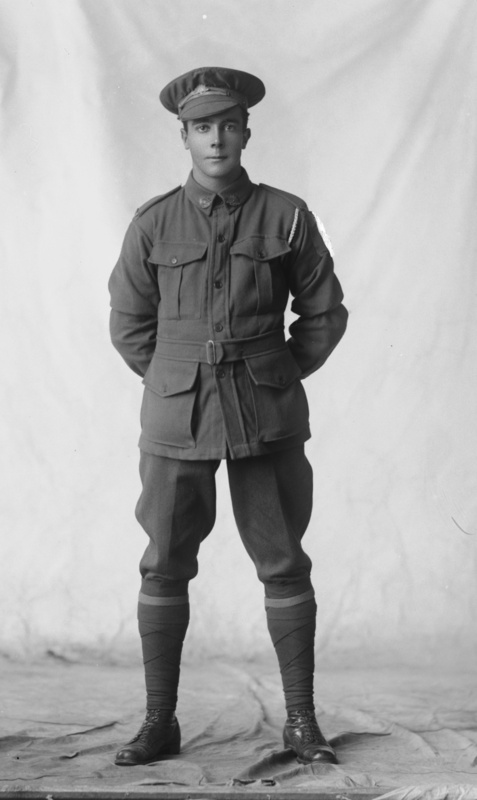 He also spent three years serving with the goldfields' 21st AMC. On enlistment, James (19 but said he was 21) was assigned to the 44th Battalion as a signaller. James had lost his mother in 1914 and he lost his father in April 1916 just prior to his departure for the front. Hardly surprising a few weeks later in the early morning hours of 29 May Military Police conducted a raid on the Claremont Camp where 44th Battalion was based at the time and James was reported missing. The police apprehended him at 1:30am after finding him asleep in a railway carriage at the Perth Central Railway Station. He was charged with both being absent without leave and illegally being on the grounds of the railway station and remanded in custody. Just a week later on 6 June, he embarked on HMAT Suevic at Fremantle and sailed to Plymouth arriving 21 July 1916. After further training in England, James was deployed to the Western Front. He arrived in the early hours of 26 November and by January 1917 was in the trenches at Armeutieres, France. He soon contracted scabies and spent 12 days in hospital before rejoining his unit in Belgium. During the Ypres offensive James' story takes a tragic turn. At 9am on 4 October 1917, James was killed by an exploding shell, near Broodseinde Station on the Ypres Roulers Railway in Belgium. He was buried near where he fell. The site later retaken and held by the enemy.